Donald Trump publicly mocked John McCain for being captured in — and then tortured routinely, for multiple years of — a war in which he himself refused to serve. The president has also repeatedly disparaged McCain’s legislative judgement; promoted policies that McCain regards as un-American (the “Muslim ban”) and inhuman (military torture); and launched vicious and sustained attacks on many of the institutions that McCain most deeply reveres (NATO, the CIA, and the FBI). And Orrin Hatch can’t understand why the Arizona senator does not want Trump at his funeral. “I think it’s ridiculous,” McCain’s longtime colleague told Politico Monday. 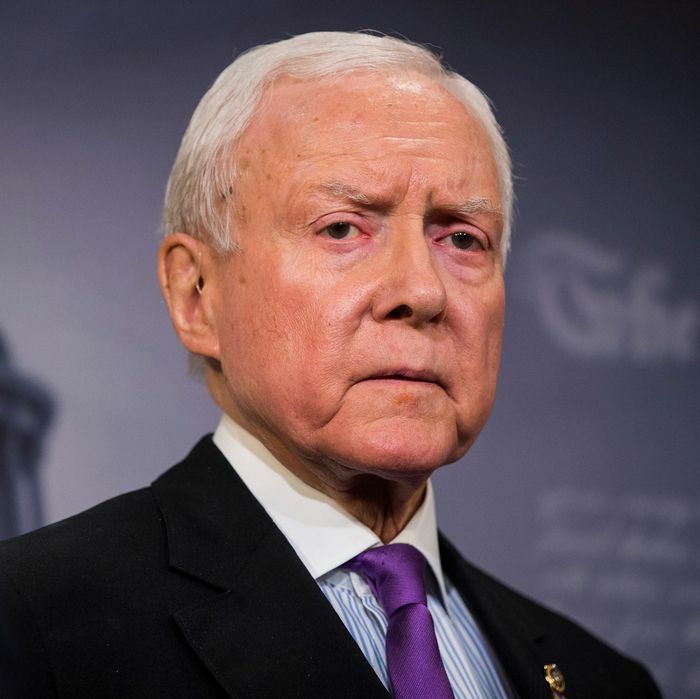 “He’s the president of the United States and he’s a very good man.” Hatch went on to stipulate that “John should have his own wishes fulfilled with regard to who attends the funeral,” but did encourage the senator to change his mind. McCain, who is suffering from a terminal form of brain cancer, has said that he would like vice-president Mike Pence to represent the White House at his funeral. According to his family, McCain is still “talking, he’s chatty and he’s walking around.” Hatch said Monday that he has been told that McCain will never return to the Senate. If McCain retires before May 30, an election to replace him would (likely) be held this fall; if not, Arizona’s Republican governor will be able to appoint a reliably pro-Trump senator who would hold the seat until 2020. Which is to say: If McCain wishes to “battle” Trump politically (as opposed to merely rebuffing him personally), he will give the voters of his state a chance to weigh in on his replacement in November.